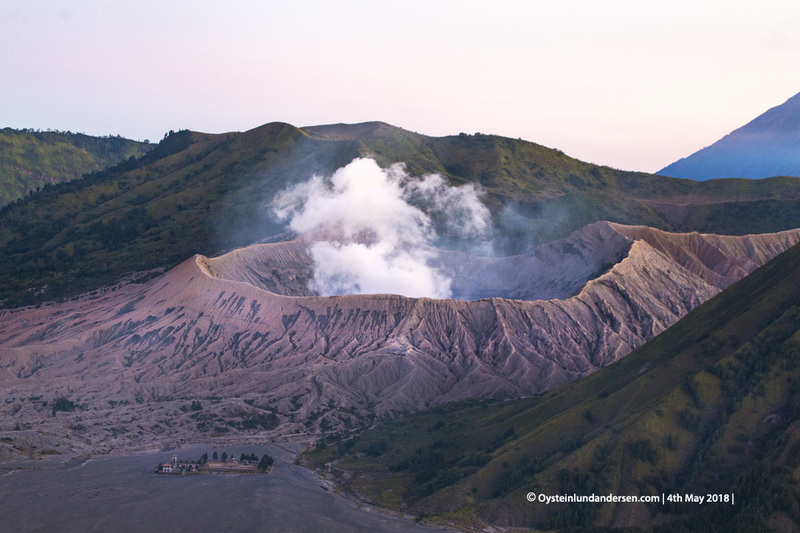 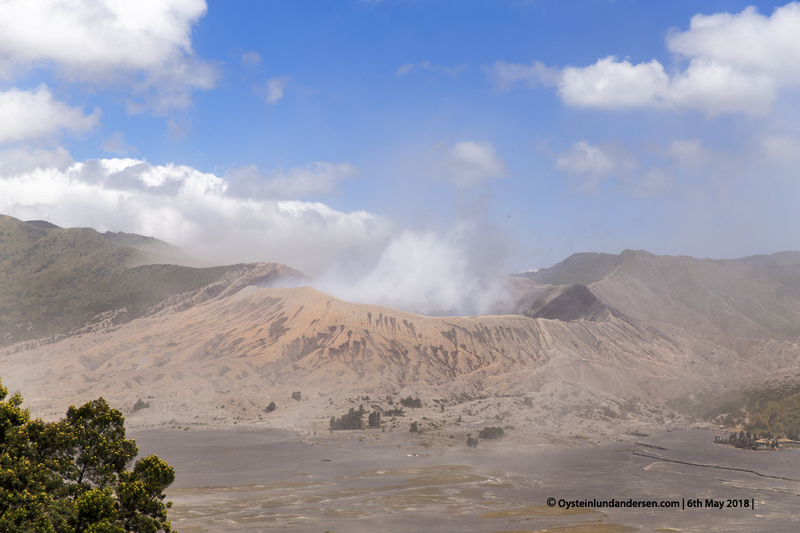 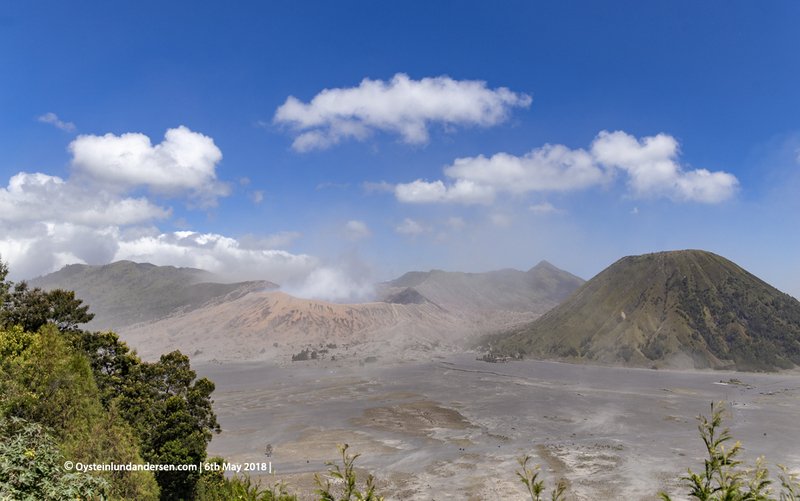 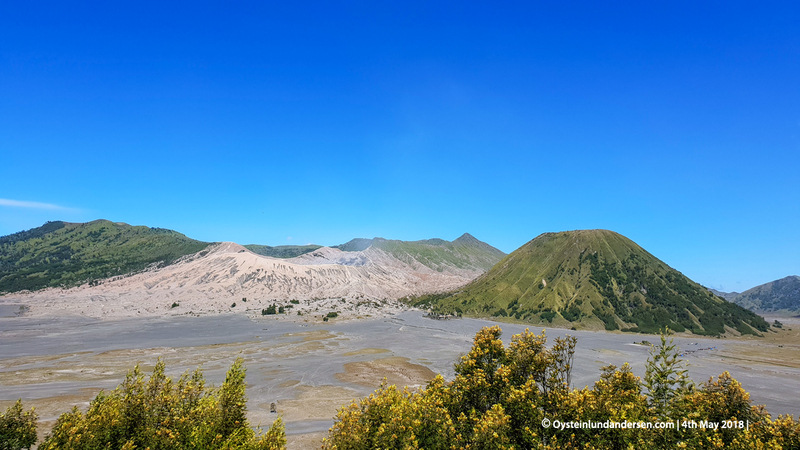 During this visit Bromo was calm. 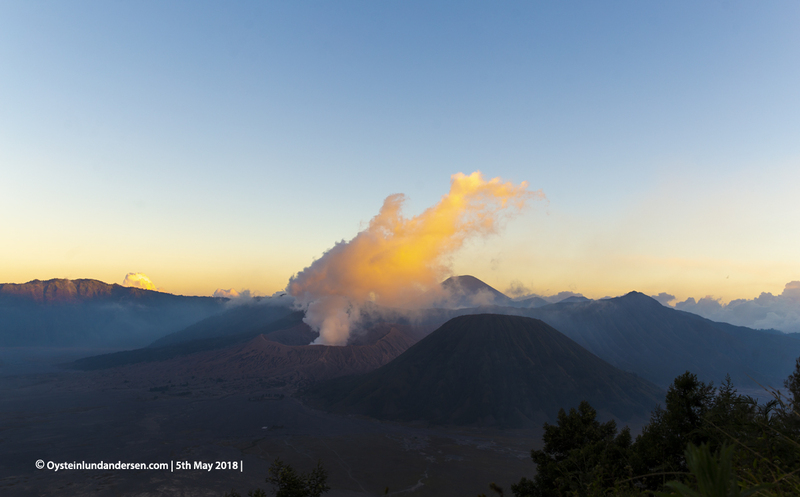 Similar low pressure degassing activity as during my last visit in November 2017 was observed. 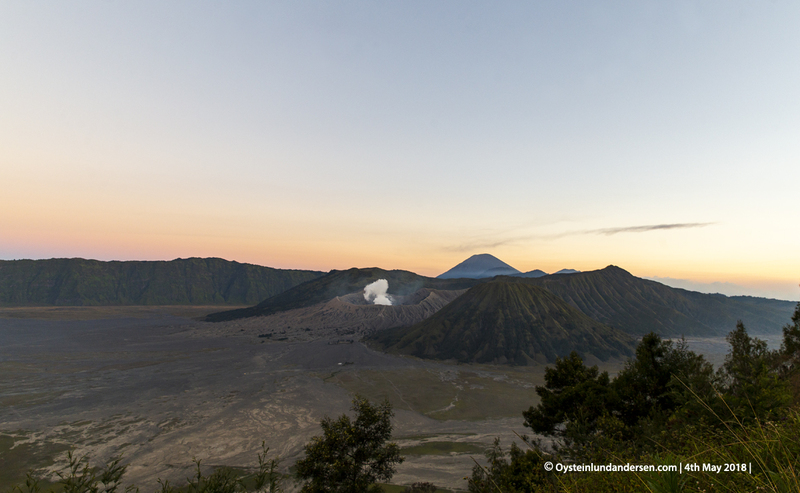 Sunset, gas from Bromo are now visible. 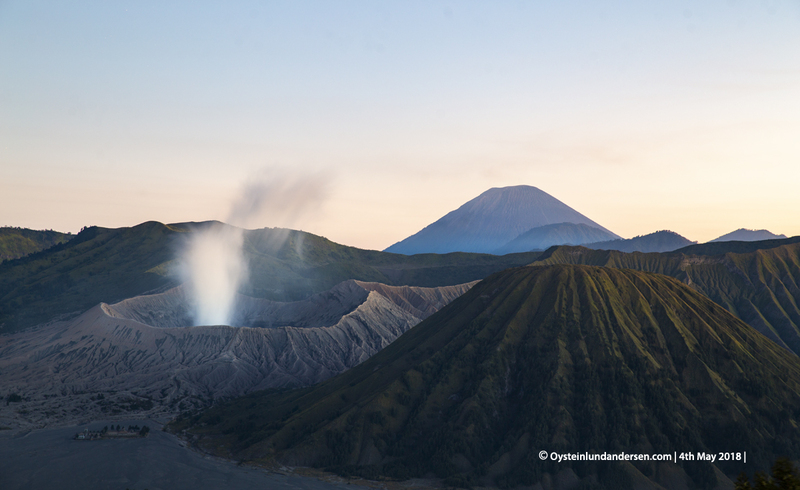 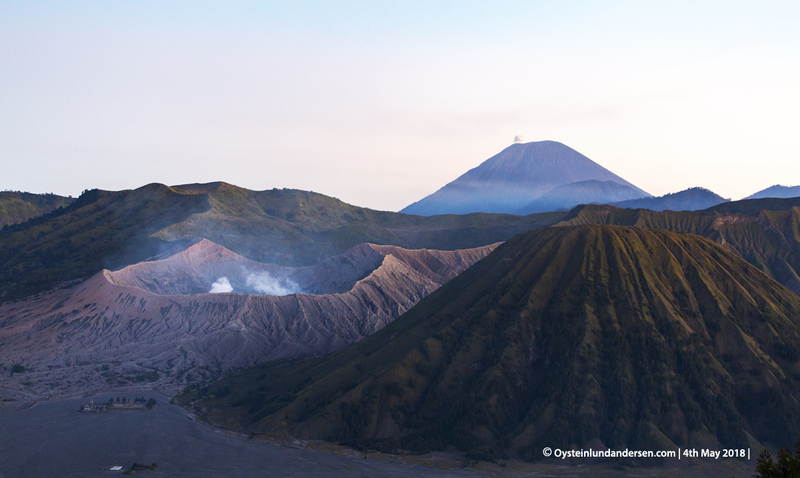 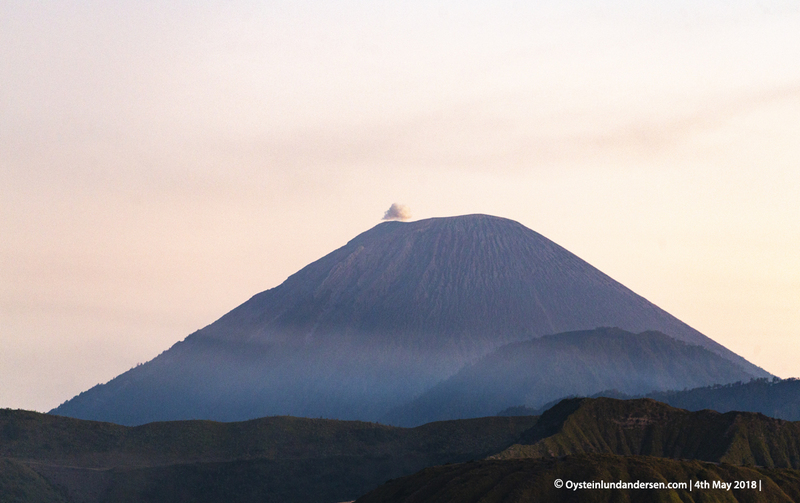 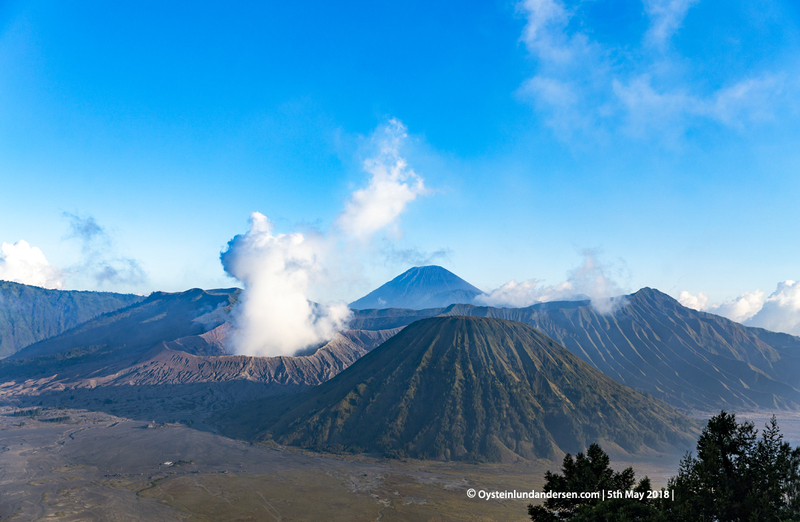 Semeru volcano was seen erupting as usual, during this visit as well. 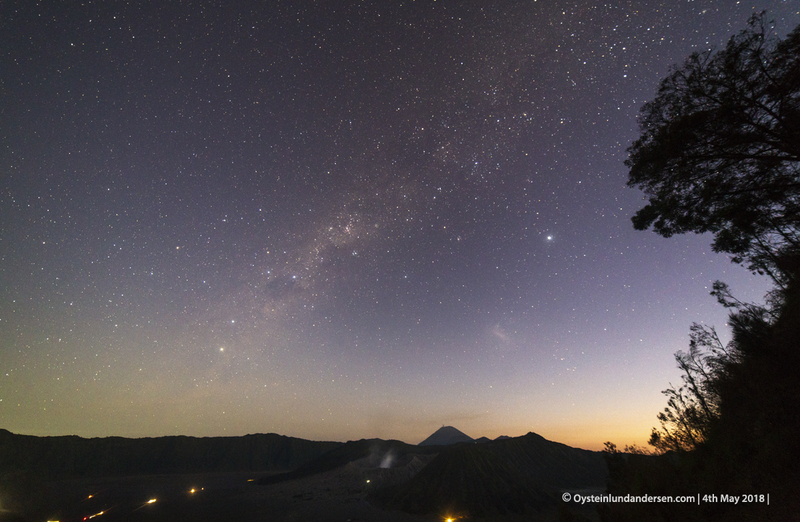 Meteorite strike above the Tengger Caldera, with Bromo degassing in the lower center of the photo and Semeru erupting a ash cloud in the background. 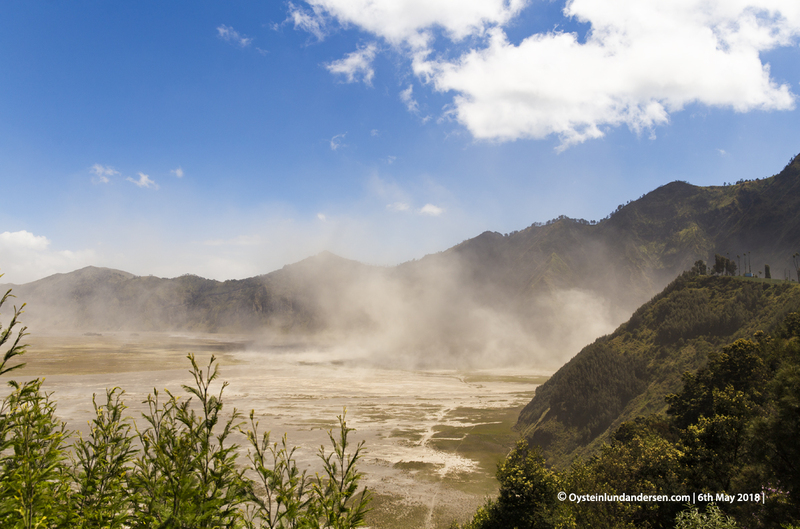 Strong winds whip up sand in the Tengger Caldera.